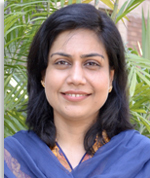 Dr. Yaamina Salman has a PhD in Management from University of Edinburgh Business School.Her PhD research was carried out under the supervision of renowned public management academics, Prof. Stephen Osborne and Dr. Tony Kinder on public management reforms in developing countries with an emphasis on health sector reforms in Punjab. Prior to that, she has done her MPA from IAS and has been associated with IAS as a faculty member since 2000. She teaches courses on Governance, Public Management, International Development and Qualitative Research Design,Methods &Analysis.She has also presented her research at IRSPM’s (International Research Society for Public Management) Annual Conferences. Her research interests include design and delivery of public sector reform, political economy of reform, international development, citizen engagement and coproduction. She has also worked as Conference Coordinator for IAS National Conference 2016.